Algernon Henry Blackwood (1869-1951) was born in Shooter’s Hill, Kent. He is best known as a writer of ghost stories: as a broadcaster on BBC Radio in the 1930s and 1940s he was known as “the Ghost Man”. He produced over 200 stories and a dozen novels, almost all concerned with the supernatural in some way. Blackwood’s father, Sir Arthur, had been converted to an evangelical form of Christianity while serving in the Crimean War; he became a senior civil servant, and married Harriet Montagu (from Northern Ireland), the widow of the sixth Duke of Manchester. Algernon was “a dreamy boy”, as he later said, and took refuge in nature and in thoughts of the supernatural. He attended five schools, “my horrible private schools”. In one, the “fiendish” headmaster falsely accused him of stealing a book. Another was the Moravian Brethren School in the German Black Forest: the area was “haunted by elves and dwarfs and peopled by charming legends”, but he regarded the school itself “with disgust at the overstrict, semi-military discipline”. He was still in his teens when he became fascinated with Eastern mysticism, and fell totally for Madame Blavatsky’s Theosophy. 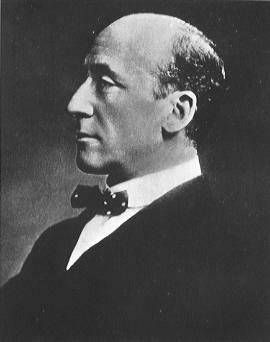 His father hoped he would take up farming, and in pursuit of this he attended Edinburgh University, and moved to Canada in 1887, and then to New York in 1892. His experiences in the wilderness of Ontario led him to write “weird” stories, of which the most famous remains “The Wendigo”(1910). He failed to succeed in farming, or journalism, or anything else, and for a while resorted to morphine. He returned to England in 1899; his first two collections of stories were published in 1906 and 1907. His third book, John Silence: Physician Extraordinary (1908), was a novel about a kind of occult Sherlock Holmes, and was so successful that he was able to become a full-time writer. Other successes include The Centaur (1911) and Pan’s Garden (1912). See here for his Great War experiences. After the Great War, he continued to write plays, and moved into children’s fiction, as well as having a career on radio and appearing on Britain’s first television show, Picture Page in 1936. He had a regular spot on television, Saturday Night Story, that made him a celebrity. An omnibus of his short stories was published in 1949, as Tales of the Uncanny and Supernatural. He continued his interest in Blavatskian occultism, befriending both Ouspensky and Gurdjieff. He was appointed to a CBE in 1949, and died in London in 1951. For an outline of his career, see George Malcolm Johnson in the Oxford Dictionary of National Biography 6 (2004); there is also an entry, a few pages later, for his father. On the fiction, see in the Encyclopedia of Science Fiction, and see above all Mike Ashley, Starlight Man: The Extraordinary Life of Algernon Blackwood (Constable, London, 2001).